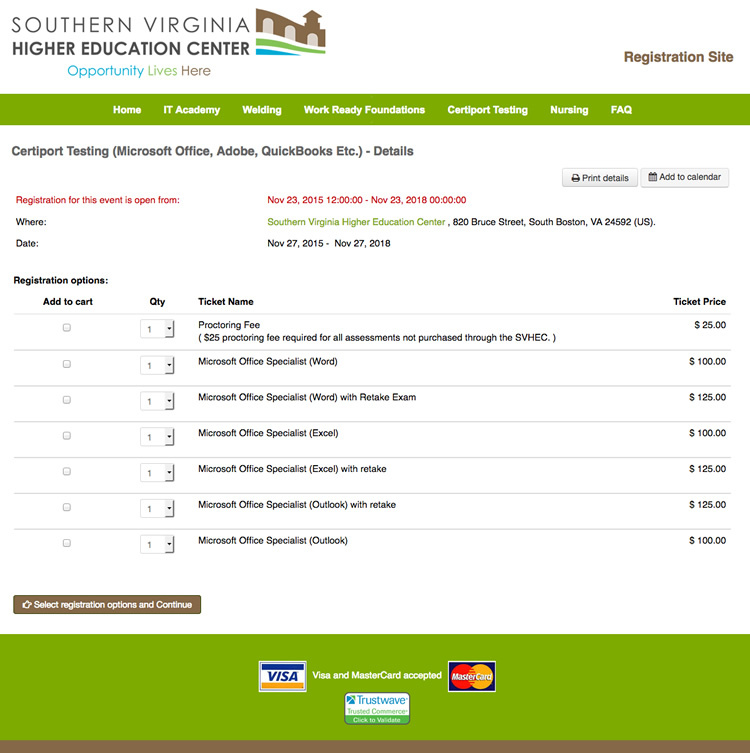 While registration and payment for Southern Virginia Higher Education Center's for-credit courses is handled by their partner schools, they offer certification courses like Welding and IT as well as nursing, workforce readiness, and Certiport testing, whose registrations aren't managed by the schools. We developed a registration system that allows SVHEC staff to add classes as needed, including optional extras like books or supplies. 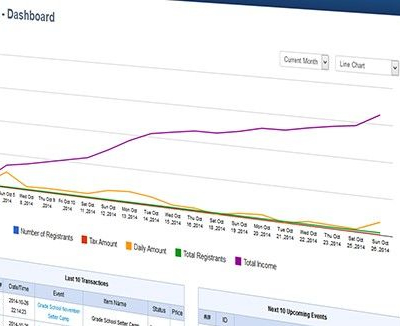 SVHEC staff has access to a system dashboard to add and configure courses, export registrants in a csv, and produce graphs of registration activity. Courses can be configured individually to allow group registrants. When group registration is enabled, the registrant pays for the number of attendees but doesn't have to enter details for each person. This allows companies and organizations to purchase banks of seats without knowing in advance which employees will be attending. The system integrates with the state of Virginia's merchant services provider to process Visa and Mastercard payments. Registration emails and reminders can be customized for each event separately, and different admins can be assigned to various events.